a) The Joker killed Batman and then had to figure out what to do next? b) Batman killed the Joker and dealt with the fallout from that? c) One character had to deal with the death of the other when they weren’t actually involved in the death? I’m sure that’s got just enough story potential for one Elseworlds one-shot, and I can’t possibly be the first person to think so, and man by the late nineties they were doing like 10 of those a month, so…does this ring any bells for anyone? And no, I don’t mean the great Batman: The Animated Series episode, “The Man Who Killed Batman,” which – again: great, but I’m talking about something that explored the long-term ramifications of one guy being without his arch-nemesis, for good. Granted, for Batman I assume it’d be nothing more than “The Joker’s dead. I shed no tears. There’s still crime in the air tonight.” , but…what if he had a more emotional response than that? (Hence, Elseworlds). In any event, I imagine it’d be a good foundation for a non-canon Joker story. I think the Joker would kill himself. I think he would start murdering the parents of six year olds in an effort to make a new Batman. @Braak: That reminds me of what Mr. Rictus did after killing that world’s Batman analog in Wanted. He shot a couple, then told his goons to leave the kid; that with luck he’d devote his life to fighting crime. @Holland: Actually, Wanted is probably the best example out there. 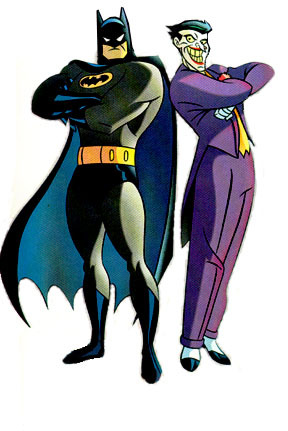 Also, there was a recent episode of Batman: Brave and the Bold where they did the Emperor Joker storyline. He killed Batman a few dozen times and kept bringing him back to life to do it again. Fed him through a wood-chipper once: great show for the kids. Did they leave in the part where the broken Batman, whose mouth had been removed by the cosmic Joker, clacked out “Kill Me” in morse code with his teeth for Superman? Man that was a grim story to adapt. on Brave and the Bold, no less! The last episode of that I watched had a super-hero drag race in the desert! It was DELIGHTFUL. No, though they paid homage to it when he pleaded with the Joker to kill him (a trick, of course). Overall, the episode was ostensibly a zany and lighthearted one – a fact they exploited to get away with a montage of Batman deaths, each more grisly (albeit safely off camera) than the one before. And obviously Batman didn’t stay dead – unlike at least eight heroes who have actually died on the show (there and probably more – I’ve only seen about 1/3rd of season 2). I’m somewhat paranoid that they’re eventually going to bring them back, though – most of the deaths could be retconned/explained away with a last minute teleportation. Hopefully they won’t go that route, but I suppose time will tell.